Turnbull Hutton says SFL clubs are being threatened to accept the newco into the First Division. 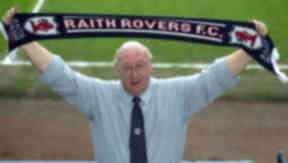 Raith Rovers director Turnbull Hutton says clubs in the Scottish Football League are being "lied to, bullied and threatened" by the Scottish FA and Scottish Premier League to accept a newco Rangers into the First Division. 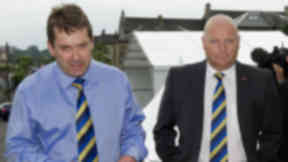 Hutton says the attempts to force teams to bypass a formal application process for Charles Green's company are "corrupt", following threats that finances from the SPL would be cut off and a breakaway league formed. He said: “It is not an SFL issue. We’ve been lumbered with this. There are rules we feel they should be followed. 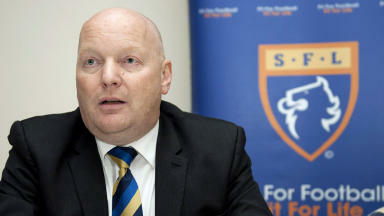 They [newco Rangers] should apply for the Third Division. “[We are being] bullied, railroaded and lied to. We are being lied to by the Scottish FA and the SPL. We are being threatened and bullied. It is not football as I know it. “It was a ridiculous document which came out last week whereby the threat was there that if you don’t vote for an acceptance into the First Division, a breakaway SPL2 will come along and those who didn’t vote wouldn’t be invited. 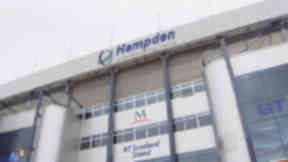 The 30 member clubs of the SFL are meeting at Hampden on Tuesday to discuss proposals which would see Charles Green’s newco parachuted into the First Division, as opposed to applying to enter at Third Division level. A presentation sent out by the league to its members last week warned £16m could be wiped out from the Scottish game if Rangers had to play in the bottom tier. It promised an additional £1m would be divided amongst clubs in TV money if the club were to participate in the First Division, with play-offs and a change to financial distribution also proposed.